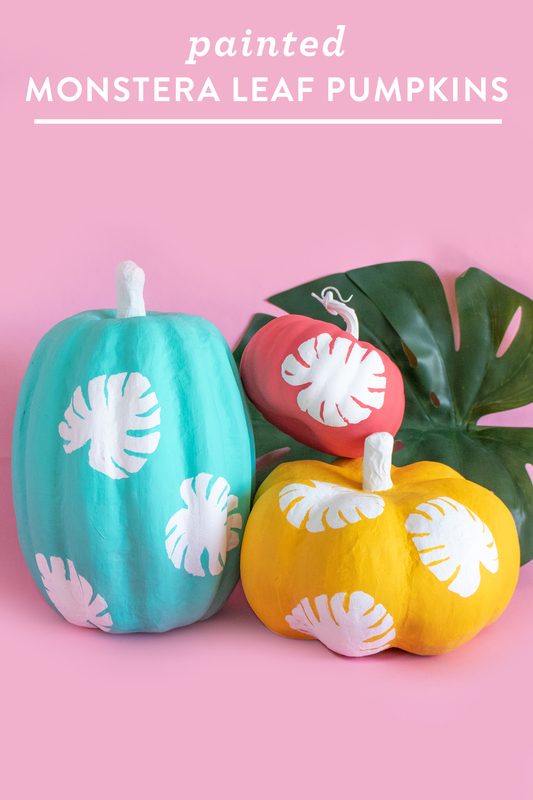 Add major tropical vibes to your Halloween decor this year with this no-carve monstera leaf pumpkin decorating tutorial. 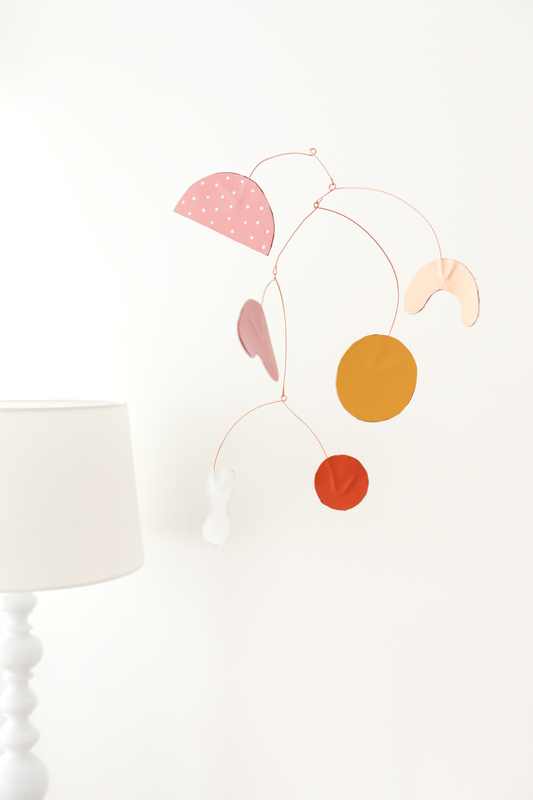 Learn all about the new Fiskar’s line of DIY tools that Sarah helped create and get step-by-step directions to make your own modern leather and copper wire baby crib mobile. 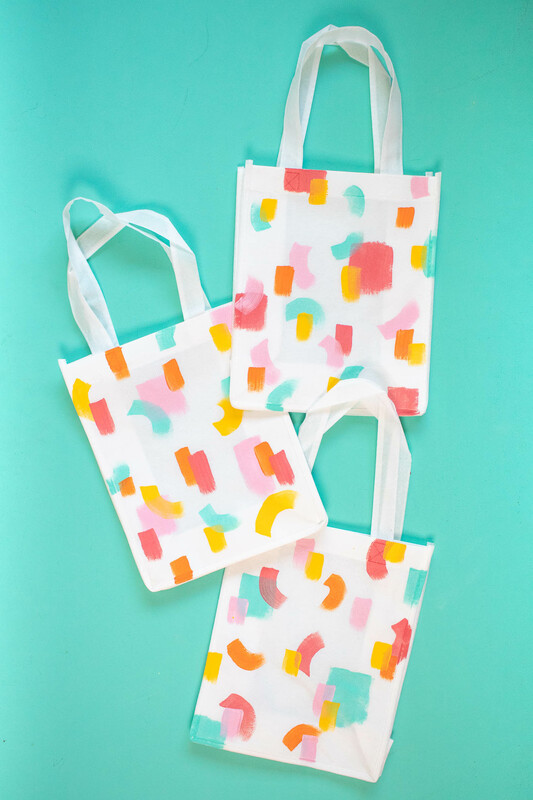 Learn how to create colorful tote bags that are perfect for trick-or-treating this Halloween. They are so cute you’ll want to use them well past the holiday season! 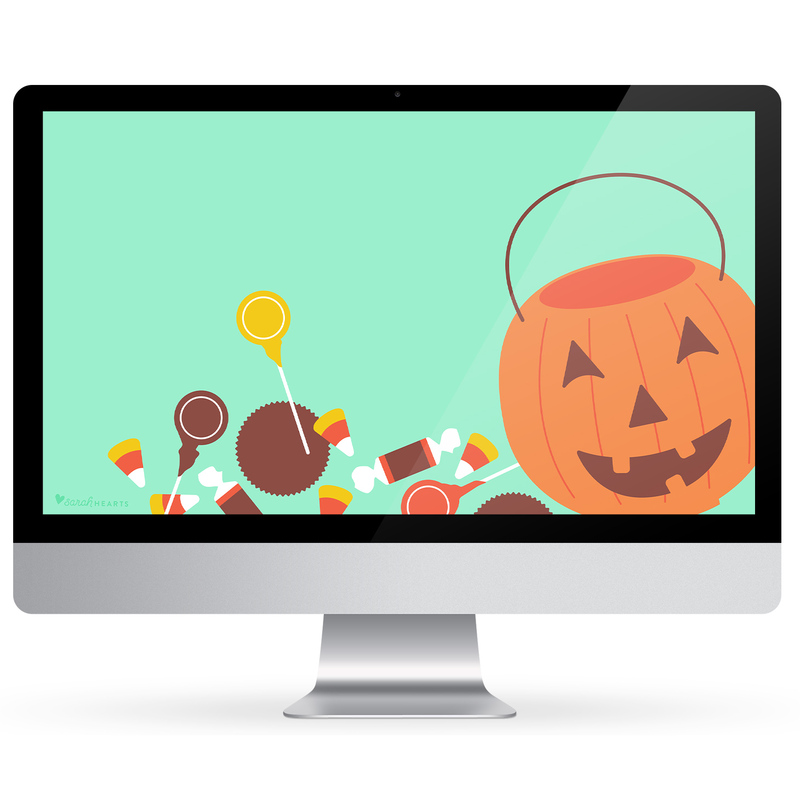 This month’s free wallpaper download features classic Halloween candies and a iconic plastic pumpkin trick or treat bucket. Download it today to add some festive flair to your phone, tablet and computer! Become the favorite house in the neighborhood on Halloween when you hand out candy in these adorable bags. 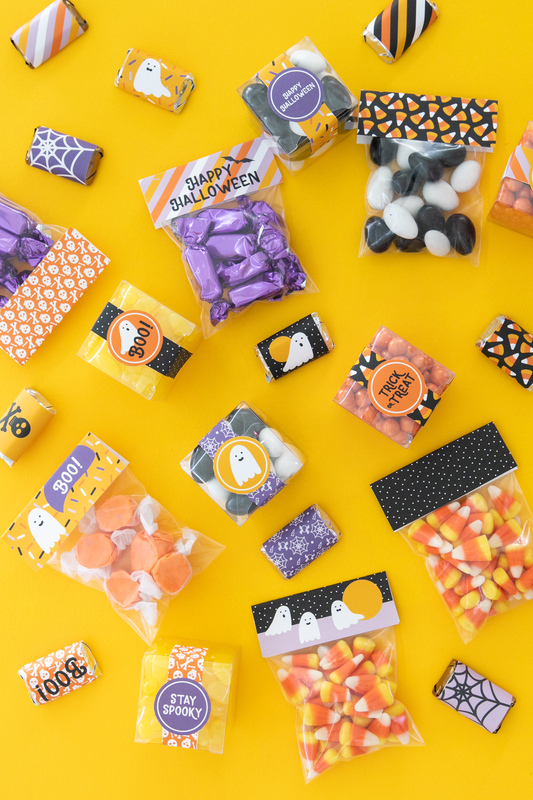 Keep reading to download the free printable treat bag toppers and learn three different ways to package and decorate Halloween candy. 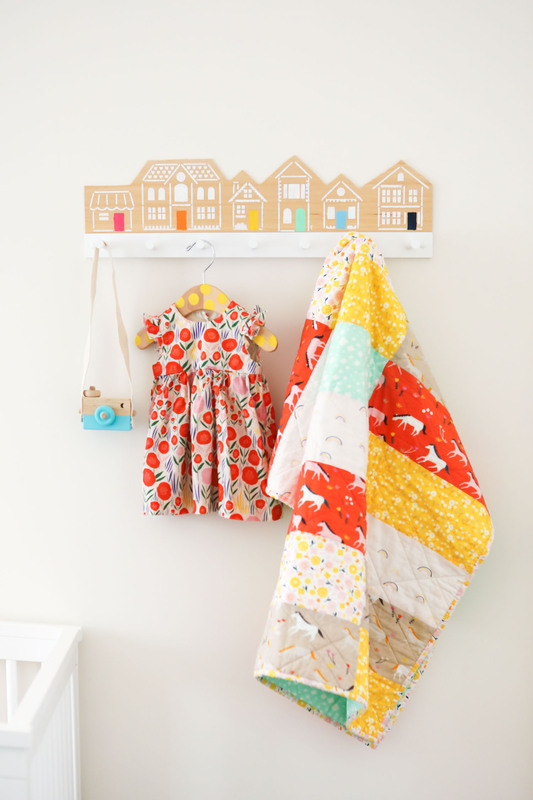 Sarah Hearts teaches you how to make an adorable house shaped peg hook rack that is perfect for a nursery, kids room or mud room. Keep reading for the supply list and video tutorial.